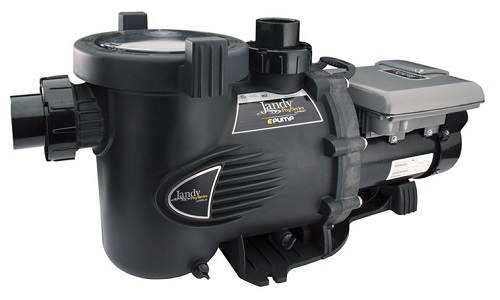 Save up to 90% on energy costs with the VS FloPro™ 1.0 HP Variable-Speed Pump. 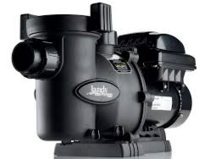 Designed with an innovative adjustable base, allowing for simple installation on new construction, or quick and easy replacement of existing pumps. Well suited for applications with 1.5" or 2" plumbing, the VS FloPro is designed to be operated at energy saving lower speeds for maximum efficiency. •Ultra high efficiency motor - Features a totally enclosed fan-cooled (TEFC) permanent magnet brushless DC motor for cooler operation and extended motor life. •On-board digital controller included - 2 x timed speeds/8 speeds total. 180* rotatable & remote mountable for easy installation. Reliable battery backup ensures time and settings are stored during power outages. 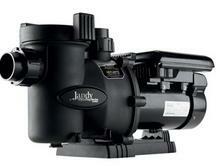 •Compact - High performance pump in an ultra compact body. Fits easily in small equipment areas. 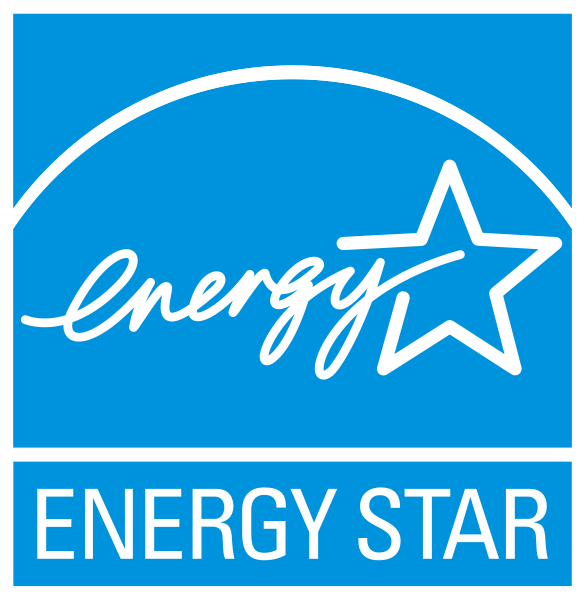 •Complies with Appliance Efficiency Standards (CEC Title 20 & ANSI®/APSP-15) and qualifies for power rebates, where offered. VS FloPro is designed to save you money. It's variable speed motor allows for dramatic energy savings, especially when operated at lower speeds. In addition, it's innovative adjustable base allows for simple installation on new construction, or quick and easy replacement of existing pumps. •Quiet - Advanced motor design allows VS FloPro to run at energy saving lower speeds for significantly quieter operation. •Digital controller included - 2 x timed speeds/8 speeds total. Remotely mounted controller provides easy access to pump controls. Reliable battery backup ensures time and settings are stored during power outages. •Consumes up to 90% less energy versus single-speed pumps, saving as much as $1,300 per year. •Completely programmable and customizable with five control system options: iAquaLink™, Aqualink® RS OneTouch™, Aqualink Touch™, Aqualink RS PDA, and JEP-R Pump Controller. •Stealth ePump’s ultra-high effciency motor enables cooler, quieter operation and extended motor life. •Includes user-friendly features such as ergonomic handles and easy to read indicators. NOTE: Stealth ePump Interfaces with iAquaLink™, Aqualink® RS OneTouch™, Aqualink Touch™, Aqualink RS PDA, without these you will need to purchase a controller - JEP-R Pump Controller.